Since mobile phones have today become an integral part of everyone's life, we have a collection that will serve your every purpose. 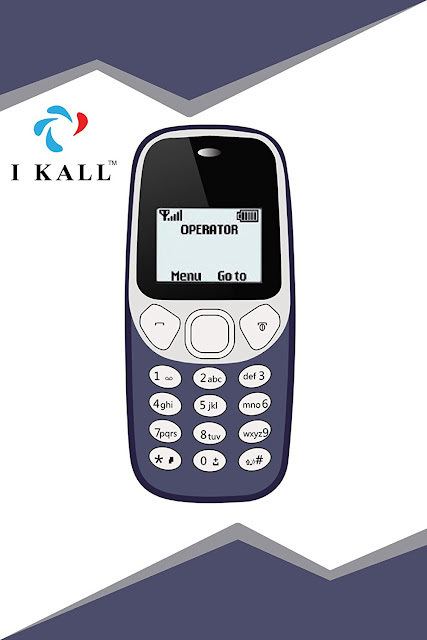 Get ready to flaunt your feature phone with our new I Kall Feature phone collection. I Kall is a trusted brand which deals in various segments. If you are looking to buy a phone that can be used for just calling, messaging and listening to MP3 songs, then I KALL can be the right choice. A Stylish Black/White basic display mobile phone of 1.4 inch display. That can be easily visible in the Bright Light and very catchy for Senior Citizen also . Easily handling mobile phone with an attractive design that also can be easily fit in the pocket. Basic mobile phone with strong battery of 800mAh that include 2 Cells of battery in it.